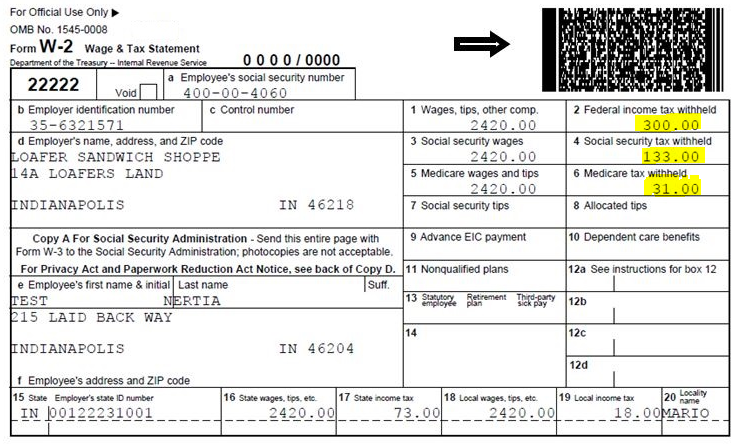 If you earn wage income, your employer will withhold income taxes from your paycheck on your behalf to pay your federal income tax, payroll taxes, and (in some cases) state or local income taxes. The amount of tax that is withheld depends on your income and the filing status, number of dependents, and other adjustments that you specified on your Form W-4. If your total income tax withholding exceeds your total owed income tax as calculated on your Form 1040, you will receive an income tax refund from the IRS. If your tax withholding is less than your owed income tax, you will be required to pay the difference when you file your income tax return in April. With the tax withholding information from your Form W-2, you can estimate your owed income tax (or tax refund amount) with our income tax calculator.